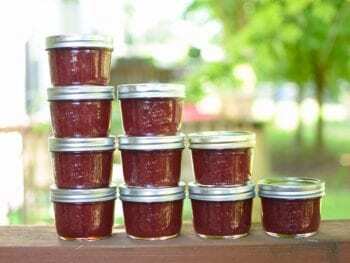 Here’s a recipe for a delicious honey-sweetened strawberry jam that’s set with Pomona’s Pectin. Love that it doesn’t rely on sugar content to create a set! Over the years, I’ve enjoyed a number of pepper jellies, but I’ve always bemoaned the amount of sugar necessary for their creation. This version uses honey in place of refined sugar and is satisfyingly sweet without being cloying. 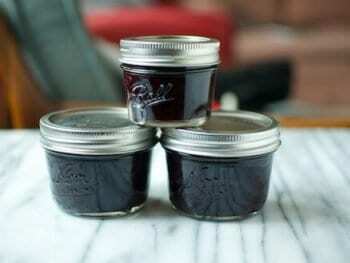 I am so delighted to be here sharing my small batch recipe for Honey Sweetened Blueberry Jam. 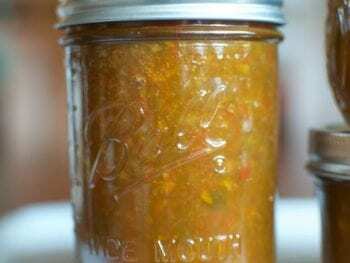 Most people think that making jam has to be a giant process that takes all day, uses multiple pounds of sugar, and dirties every utensil in the kitchen. But there’s another faster way that it can be done with honey in place of sugar, and it’s endlessly delicious.